that finds the intersection among brand image, target audience’s attitudes and beliefs and data, which is then utilized by your PR Agents, your prospective or current record labels, video directors, labels, website developers et al to bring to life. Having performed and utilized statistical models to predict and guide success of campaigns for clients, Chasson decided to bring this level of science to the world of music and art to help artists leverage data to help take their career to the next level, rather than solely basing decisions on the guts of people who may not have marketing experience. It is revolutionary, but in these times in the music industry, a revolutionary approach is needed! What is statistical modeling? In short, it defines a mathematical relationship between a dependent variable and various independent variables. We can utilize those independent variables to predict outcomes, which helps guide decisions you make before a single/album release or before a tour commences. Click here for more information. What model has Gracie Management created? 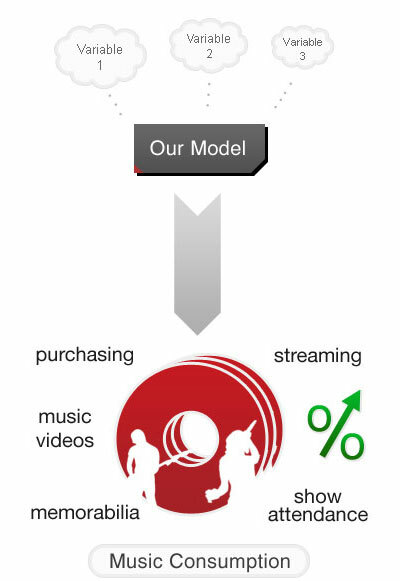 We have the Gracie Management Music Consumption Model. It is consumption of one’s music. Consumption is a composite of album sales, streaming of music, going to concerts, etc. It is broad as most artists cannot simply rely on album sales to sustain a career. What independent variables are in your models? There is a mix of attitudinal, behavioral, psychological and use of music variables. With access to interviews with hundreds of thousands of music fans, along with their answers to questions covering thousands of variables, we will be able to quantitatively tell you about your target audience, how to reach them, best probability for success – and most importantly, what are the key motivators for them to have high music consumption. 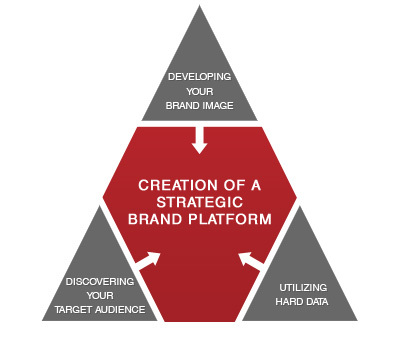 Once the brand platform is ready to go, and the executional channels are agreed upon (examples – digital banner campaign on lifestyle websites, Facebook ads, experiential on the ground activity, search optimization marketing, TV integration, publicity, blogger outreach program, etc. ), Gracie Management will connect you with one of our trusted partners to help you bring it to life in market. Chasson is available for interviews, workshops and speaking engagements.